If you're looking for a party costume that is out of the ordinary and amazingly cool then this trick may be for you. A little bit of Halloween Style Engineering can go a long way! This is a stunning costume idea that will absolutely amaze everyone who sees it. 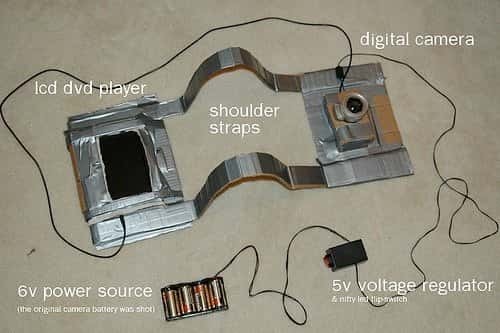 This cool costume was created by Evan Booth it consists of a projection screen showing a live video feed from a camera on his back. 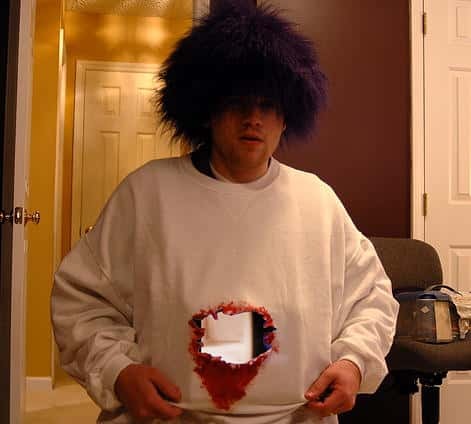 This gives the illusion of a gaping hole in his stomach. So creative! ^ Here is the device that Evan created in order to achieve this spectacular effect. It is worn over the shoulders and is battery operated. If yo know what you are doing then you can probably try this at home. A simple, innovative idea that will give you the most effective, shocking costume to amaze everyone.